Lauten Audio announced the unique LS-308 large diaphragm condenser instrument microphone from its “Synergy Series” is now shipping. The new LS-308 mic features extreme levels of noise rejection and is specifically designed as a ‘problem solver’ tool for challenging recording situations when isolation is needed but difficult to achieve. The announcement comes only months after shipping the Synergy Series LS-208 ($599.00 USD) front-address condenser microphone to dealers worldwide. 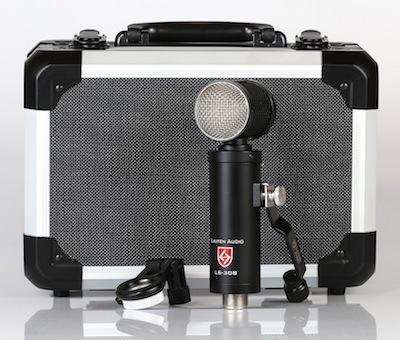 The new LS-308 microphone has an estimated street price of $499.00 USD.